House sparrows, also called English sparrows, are aggressive birds that compete with bluebirds for nesting boxes or birdhouses. House sparrows chase bluebirds away, crush their eggs, kill nestlings and also kill adult bluebirds. Because they adapt quickly to most deterrents, finding a single means of sparrow-proofing is difficult. Change your approach each nesting season for maximum results. 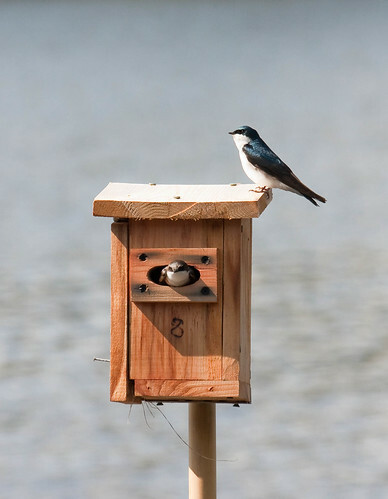 You have a couple of different choices for tactics that scare sparrows into staying away from a bluebird nesting box. Timing is a consideration for any method you use. 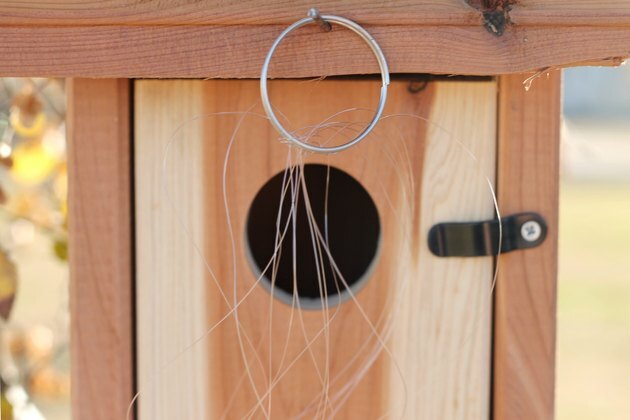 The first option is a series of monofilament fishing line pieces mounted to a ring on top of the nesting box. You can buy one, or make your own. Weight the lines just enough to allow them to hang in front of the nesting box entrance hole. 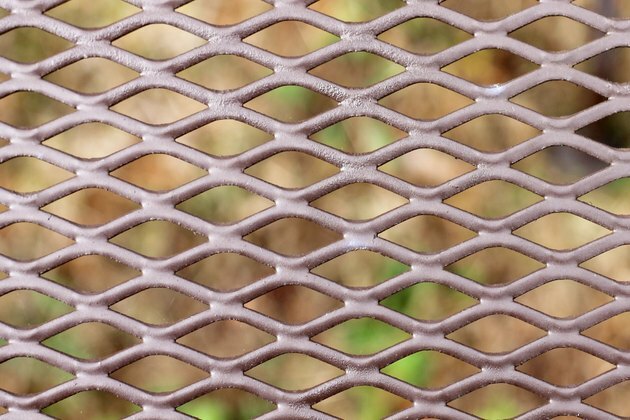 Sparrows dislike flying through these lines while bluebirds don't seem to mind them. To work, the line must be installed at the beginning of the nesting season, before any sparrows lay claim to the bluebird box. 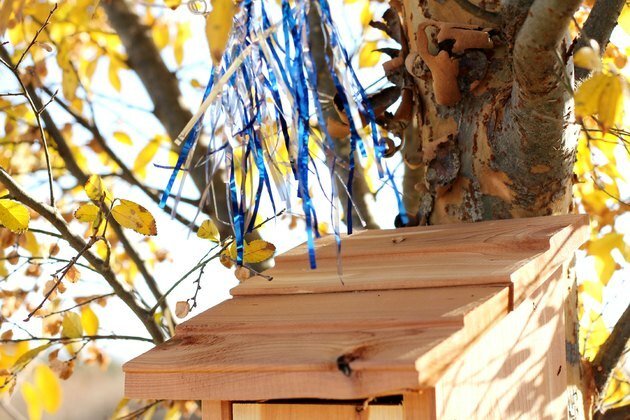 The second option for scaring away sparrows is a series of shiny, polyester strips, such as Mylar, hung from crossbars that are mounted on a pole, which attaches the the roof of the nesting box. The reflective strips need not block entry to the box. They should only be long enough to brush against the top of the roof. Like the fishing line method, the strips are feared by sparrows, but pose no problems for bluebirds. Unlike using fishing line, install these strips only after the bluebirds lay their first clutch of eggs. Because timing is an issue, your sparrow-proofing plan may include both monofilament and reflective strips installed at different times. Switch from a wooden nesting box to one made from PVC pipe. 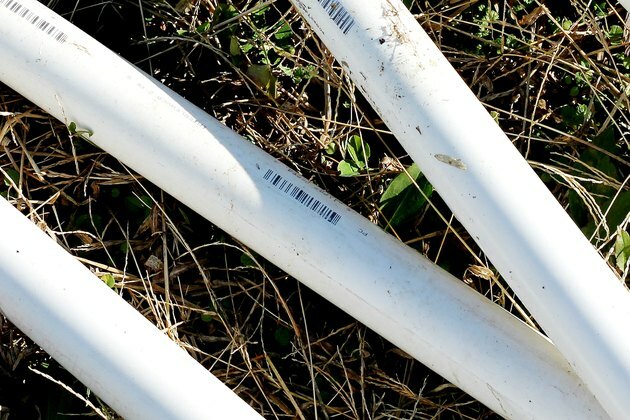 The PVC has a smaller inside diameter, which sparrows do not like. Sparrow nests are made from a collage of sticks, rough grasses and yard debris, which may be more difficult for the birds to form into a small space. Typically, the PVC nesting box is also not as deep as a wood box, posing another problem for sparrows. Male sparrows are especially aggressive, and are difficult to dissuade once they have laid claim to a bluebird nesting box. In-box style traps seal the entrance hole once a sparrow has sprung the trigger. 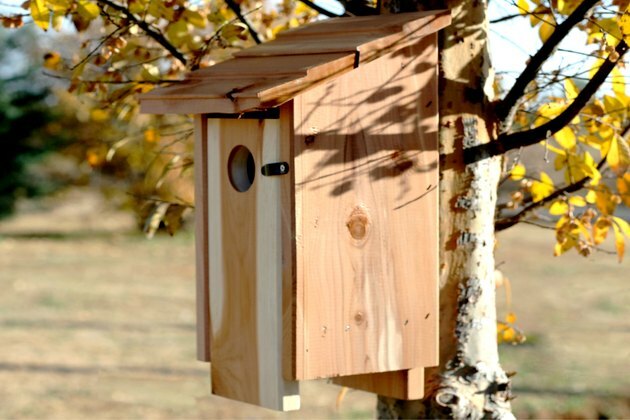 Make sure you also install a metal guard that reduces the size of the hole so bluebirds do not attempt to enter the box. Bluebirds can also trip the door behind them. Check the box often -- at least every hour -- while the trap remains in place, determining whether you have caught a bird. Free any other birds accidentally captured inside the box.